Walter oversees Hanover’s development and marketing of single-family residential subdivisions to homebuilders in Dallas/Fort Worth. His extensive expertise in residential markets has led to Hanover’s success and many award-winning communities. As a real estate broker prior to joining Hanover, Walter focused on residential and multi-family land for development and investment land tracts for residential and commercial uses. 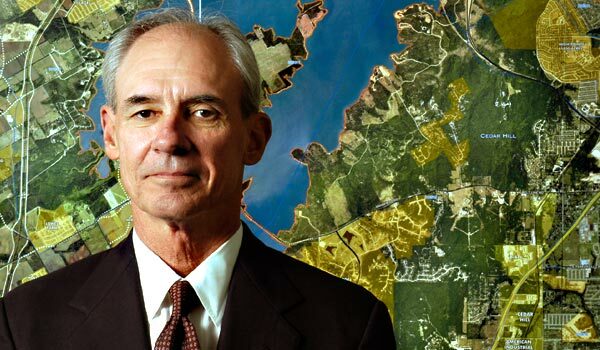 He began his career at Centex as the DFW Land Manager responsible for land acquisition, development and the marketing and sale of peripheral land. Walter received his Bachelor of Business Administration degree in marketing from Texas Christian University and served in the U.S. Air Force Reserves as a Medical Supply Officer.